You’ll find an accessible, family-friendly mall that offers high-end stores at City Centre Deira – all the usual suspects are here, including H&M, Zara, Mango, Forever 21, Aldo and Accessorize. The mall, which is popular with locals, is particularly good for children, with a Gap Children and Gap Baby store, Mothercare, Tommy Hilfiger Kids, River Woods Baby and KIDZ at Iconic. Men are hardly left out – for starters, there’s a Balmain with menswear. 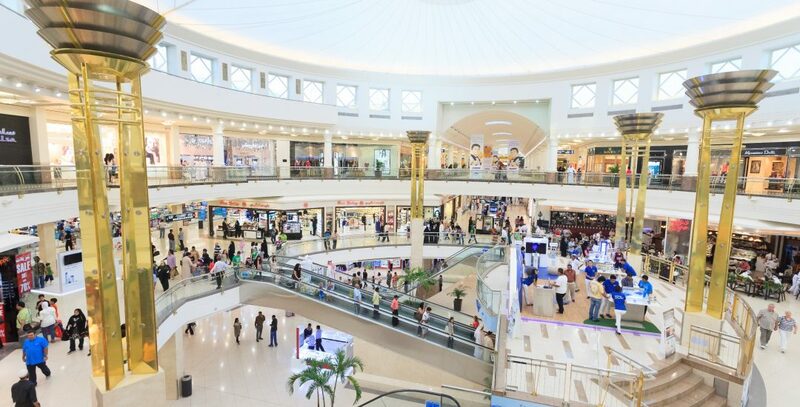 With more than 370 stores, the mall has everything, from an optician and pharmacy to a jewellery and textile court selling Middle Eastern handicrafts, as well as a large Carrefour supermarket, a multiplex cinema, a bowling alley and food courts.